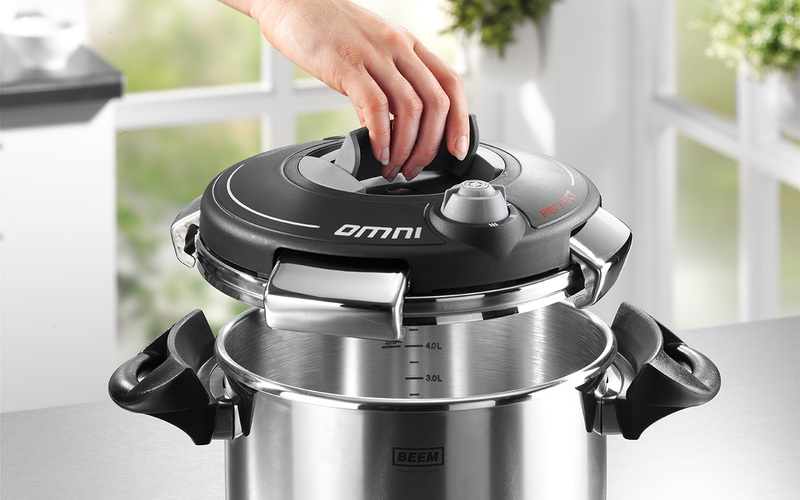 Beem presents the “OMNI PERFECT,” a pressure cooker that can be conveniently opened and closed with just one hand. The rounded edge of the pot facilitates easy pouring. The stainless steel cooker is easy to clean and dishwasher safe.